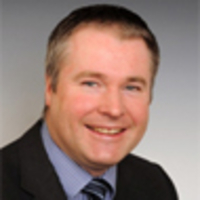 Mark Parsons is the Director of EPCC, the supercomputing centre at The University of Edinburgh. He holds a Personal Chair in High Performance Computing and is the Associate Dean for e-Research at the University. He is an acknowledged international expert in high-performance and data intensive computing and its industrial application, and is the Project Coordinator of the EU’s Fortissimo projects. He is the Managing Director of the Fortissimo Marketplace Ltd, a company created to exploit the results of these projects.